Join the MinnowBooster Whitelist for MegaBoost! Today Minnowbooster is announcing a new program called 'whitelist'. The idea behind this service is to help content creators reach the Hot or Trending pages and increase their post visibility when they have something really worthwhile to share with the Steem community. 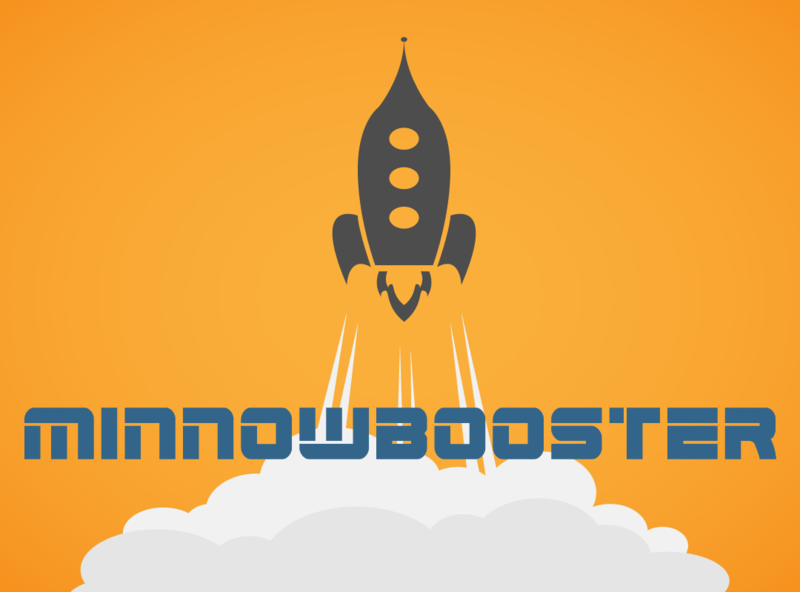 Members of this group (up to 100 users initially) will be vetted and approved to have their Minnowbooster limits increased to allow a Boost of up to 100 SBD be sent to their posts! Potential Vote Values of up to $250.00 at full Voting Power! Once approved for the whitelist, your limits will be increased on the Minnowbooster site for a period of 60 days, at which time you can re-apply to remain on the list. We want as many people as possible to be able to take advantage of the service, so renewals will be on a first come first served basis with respect to available slots and preference going to users who are seeking their first period of use on the whitelist. How you use your increased limit will be up to you. Do you want to get ten posts on the hot page? Or do you want two on trending? Configure your boosts for optimum results as you see fit. But keep in mind, Minnowbooster will be watching! Our Terms of Service (TOS) remain in effect for the whitelist members as with everyone else. And the same vote removal without refund applies. So be sure that you are using your boosts on original, noteworthy content. Having a 100 SBD upvote removed with no return of funds would be painful, and we won't hesitate to do it in cases violating our TOS. Those interested in participating with the whitelist should visit our White List Application Channel on discord. You will need to post your Steem Username, along with a pitch as to why you deserve a chance to be on the list. Also a brief sentence about what you intend to use the whitelist to accomplish. Our moderators are standing by to review your application. Once you have applied, a panel of the Minnowbooster team will determine if your application should be approved. Limited feedback will be offered for those who cannot be approved at this time, with an opportunity to reapply at a later date. Don't waste time, we will cut this initial offering off once we reach 100 verified users! Get whitelisted today! Minnowbooster takes Boost Abuse very seriously. Abusers be warned, a new policy is being put in place and if you continue to upvote content that violates our TOS, we will be removing your upvote and declining a refund payout. Using multiple accounts to post duplicate content and purchasing MB upvotes for all of them. Upvoting posts with MB that are written in a copy / paste style. Using a MB vote for very short or repetitive content. Length is subjective, but 150 words is a good safe guideline, however original art, photography, video and animations will be exempt from the 150 word guideline. Think about the content you are upvoting and decide based on the criteria we have laid out. What is @minnowbooster's new policy in dealing with abuse? As one of your biggest critique, Congratulation, I like where this is going. Would be great if the vote value to amount paid was near 1:1 or less. Being on the frontpage bring way more benefits than the reward itself. Hi @minnowbooster! We would really like to partner this system with our Earth Nation Minnow Support Guild. Here in the EN, we help minnows get off the ground by first educating them about how to make great content! We have free academies and regular meetings where we teach people how to increase their game! Everyone in the guild reserves up to 7 votes for the purpose of upvoting each other to be seen. Once a week each person sends their best post to the guild. Our Media Agency Coordinators then edit and improve, then approve the article. Sorry for my OT, but how many steem % i earn daily if i Delegate SP to market on minnowbooster? We display the APR percentage, that means your earnings over one year. You can divide that by 365 to get the daily amount. Sounds interesting. Should be interesting to see it in practice. i'm sorry to rain on your parade but you wanna give out 100 dollars clicks to those who can afford it and everybody else is limited to 20 bucks a week Question: Really are you serious ??? @elevatedthinking If you want to promote your article, say it as, "like my article" not "like this article". I did the exact opposite. looking forward to joining up. 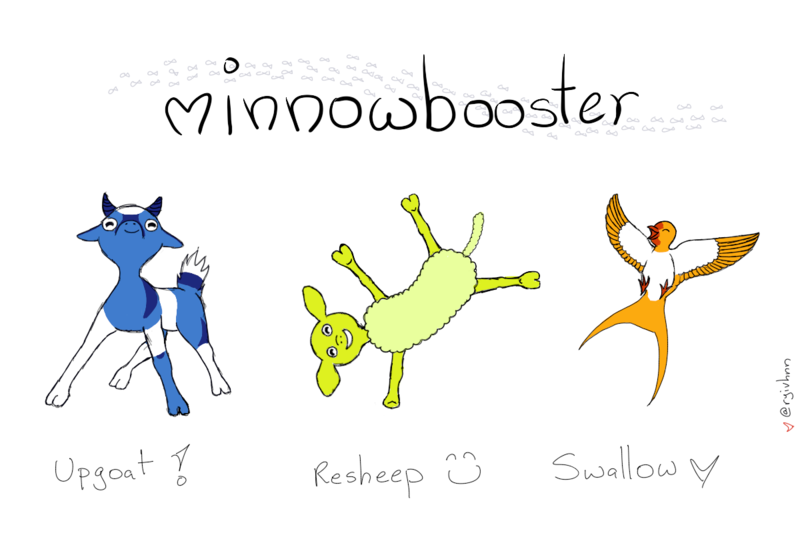 I needed a boost badly @minnowbooster because I neded medicine for my bones and deformities. P.S. : The upvote on this comment is just for visibility issues with the many spam answers here! 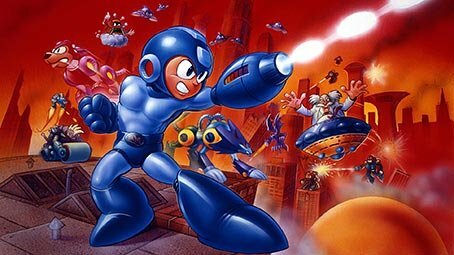 Junte-se à Lista Branca do MinnowBooster para MegaBoost! Great service @minnowbooster ... keep serving this great community with your innovative services.. It is a great initiative, it can be considered as the best advertisement platform at steemit. Thank You @minnowbooster for mega boost appreciated Resteemed and Share on Steemit Viral Facebook Page also on Steemit Viral Twitter and Steemit Viral Linkedin Group by @irfansardar Good Luck! Minnowbooster improving itself day by day, awesome thanks for the update. Whitelist is a fantastic and novel idea. This will really help shatter the boundaries of content authors across this site who post great content, but simply don't have the followers to be heard - until @minnowbooster! We use this service consistently, and have nothing bad to say about it. I suggest it to everyone I can. @minnowbooster, good work, i appreciated you and followed your instructions to join whitelist. The great part of @minnowbooster services is that they primarily help minnows who wouldn't otherwise receive very much attention. The Whitelist helps minnows reach new levels of exposure across Steemit, so if you think you're posting original, well-written content but you're not getting too much attention, I suggest signing up! lovely! good luck everybody and to me up. Hey @minnowbooster i send you 1SBD for the post https://steemit.com/food/@somenathsen/making-a-big-bowl-of-pasta but can't get my upvoted could you please refund me?? That will be a big help to those wanting to invest larger amounts to gain more SP + SBD to invest back into more and get their posts out there, showing to more people. Great post @minnowbooster I appreciate your work . I wish I were on the white list. Great idea. You need to have one for Steem services? do you help me for increasing my profile reputation? Is there a better way to mine than genesis in the USA? awesome feature. hope that I get to be listed soon. thanks. @minnowbooster You’re really improving, keep it up. I was doing some math on the "4-24 week Lease". 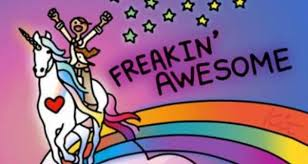 Less.. lets say 5% for the curation rewards of other people = 3.93 STEEM.. That's a loss! Let alone the fact that you would have to cast 10 2.4h-perfect votes on yourself and forget about voting on other people, which you wouldn't. That's some great news. If you don't mind, I will promptly translate this article into German. I am also applying for the Mega-Booster program. Das sind ja großartige Neuigkeiten. Wenn du nichts dagegen hast, werde ich umgehend eine deutschsprachige Übersetzung dieses Artikels anfertigen. Außerdem bewerbe ich mich hiermit an der Teilname am Mega-Booster Programm. @minnowbooster The instant Discord invite link is expired. No religion or politics... sorry, I cannot support that. And no bot abuse? That is ridiculous. The bots are out of control around here, defending them over humans.... lame. Great news! Thank you for support! Thank you for this great opportunity. Just sent in my application. I’ve applied on the Discord channel, as instructed. Thank you for reviewing my application. keep it up...with this why cant i continue providing more genuine innovative quality content beneficial to the entire steemit community.. thank you guys for the opportunity as am sure my application will be positive... health is wealth... love steemit...appreciate @minnowbooster!. Thanks @minnowboost for this great opportunity that you have giving to the house. I wish to be in on the Whitelist MegaBoost . I am most exited for your offers and i want to know more information from you. How i work with you and what is the easy way to do it? And How do i get more upvote to do my activities? No religion? Steemit is an American corporation and in America there is freedom of religion including the right to write about it. Perhaps you did not know this? I think they are making this decision based on how controversial everything is, and want to see how everything else goes first. They also didn't say that Minnowbooster was created by American's either. I think one of the main developers are actually German too. Well that's cool even though Steemit has an official policy of no censorship! Did you know that? Yes, i did know that. The people who run @minnowbooster do not have to upvote anything they don't like, so it would only be censoring(minnowbooster's "upvotes") themselves. I think you may be confusing @minnowbooster with people who run Steemit. Well, we all know that to be true, anyone can upvote anything but my question is what if someone writes something and it is the most powerful thing ever written, it will be a classic, it will be distributed around the world, and made into a movie or even worse, it is a duly recorded mass event captured on all possible available media and some folks just say, we have standards based upon nothing but...not accepting anything that mentions anything religious? That is the sole criteria? The quality of the post has nothing to do with it style, body, character development, metaphor, story telling, truth, artistic creativity or ability, alliteration, have you killed the denouement? This is exactly why I (and the couple of other people I've encouraged to join) am losing all interest in steemit. It's only going to contain what "they" deem as interesting which consequently isn't interesting to anyone but "them" unfortunately. There really isn't any "free" speech here and this is a perfect example of that. I consider science to be a religion but who am I? We are still talking about an upvote right? This is @minnowbooster's criteria for a specific set of people to be "whitelisted", so they can upvote posts at a "premium" rate. The white list is for people who agree to the terms of being in that "vetted" list. If they don't want to follow those terms and upvote religious posts, then they don't have to, and not be in that list. Also, you are giving a hypothetical scenario where they won't be concerned as much about an upvote. And the last time something even came close to your hypothetical scenario(in regards to religion) happened a little over 2000 years ago. Im joining! It's a great idea to give newer Steemians a boost so more people can view their posts. Now if only I can get discord chat to work! ...and approved to have their Minnowbooster limits increased to allow a Boost of up to 100 SBD be sent to their posts! Is not Minnowbooster about helping minnows? I wonder how this help me, as a minnow, if I need hundreds of dollars to participate, I barely can invest one dollar, plus profitability is reduced now, as posted here? Actually, I completely stopped using minniwbooster after that post. Very good! Continue to promote the most meaningless​, vacuous​ content on the www. WoW, that is a lot of features I wasn't aware of about minnowbooster. I'm glad I caught this post. Congratulations @minnowbooster, this post is the most rewarded post (based on pending payouts) in the last 12 hours written by a Superhero or Legend account holder (accounts hold greater than 100 Mega Vests). The total number of posts by Superhero and Legend account holders during this period was 27 and the total pending payments to posts in these categories was $1377.14. To see the full list of highest paid posts across all accounts categories, click here. Great, finally something very good. I'm just wondering, in order to be considered...you can't be a Christian? I made a post a while back called "Eternity in your Heart" and I'm wondering if because of that, it would disqualify me. I'm wondering if I should even apply....all my material is original and I know I'm a talented writer. Thank you, what excellent content. A great place for a newbie to learn! Congratulations @minnowbooster! You have received a vote as part of @raserrano donation to this project. The @OriginalWorks bot has determined this post by @minnowbooster to be original material and upvoted(1.5%) it! Interesting, I just used minnowbooster today for first time if i recall correctly and happen to notice this post so had to apply to help get some traction. Good stuff minnowbooster keeps taking off! There are so many beautiful posts. I like your post. I think this is a great news for steemit users. steemit is working hard to create a greatest community center. So, every steemit user must appreciate this. Thanks for informing this to all steemit users. Hello i powered up You and haven't got any notification and anything. That was 3 days before. How its actually work. And 1 think more if i power up You can i do it again ? Submitted yesterday. Hopefully i'll get white-listed!